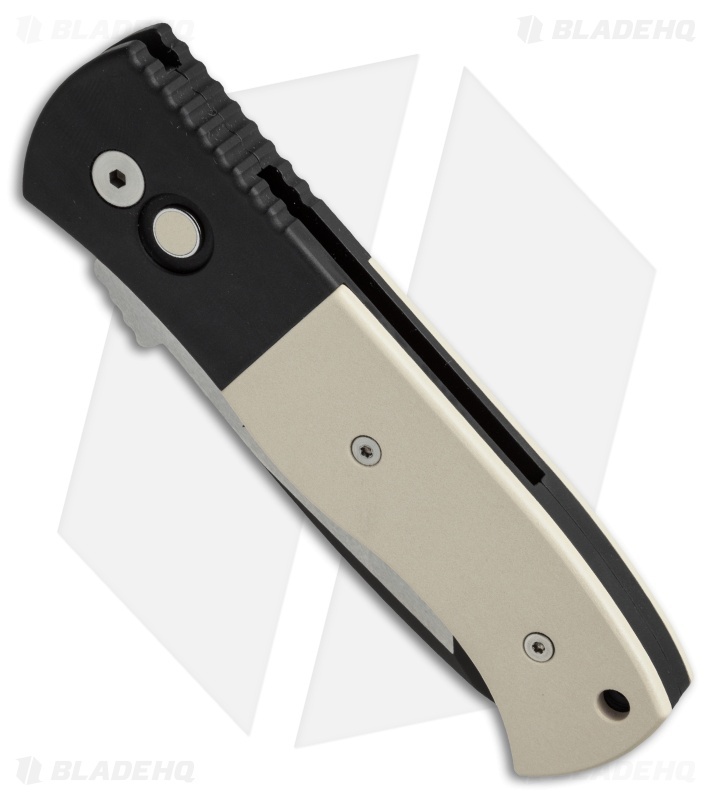 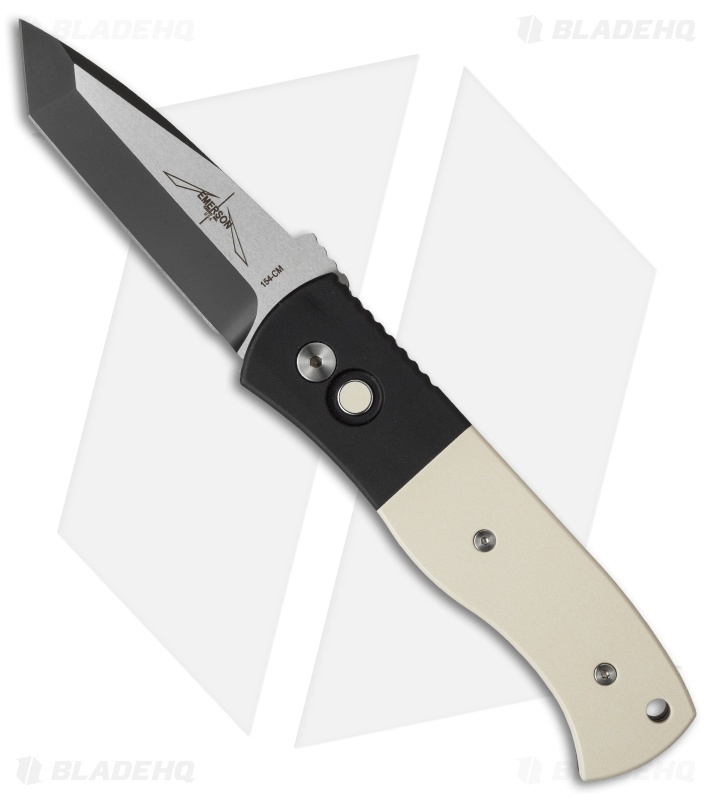 This "Tuxedo" style CQC-7B knife features ivory Micarta inlays and a matching push button insert with a black anodized aluminum frame. 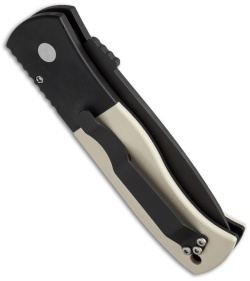 Includes a pocket clip and nylon sheath. The spear point style blade is two-tone finished 154-CM stainless steel, with satin flats and black grinds. The CQC7B Pro-Tech/Emerson collaboration combines the classic folder design of the CQC-7 and the convenience of an automatic knife. The action on this knife is exactly what you expect from Pro-Tech, it is superb!